If you’re new to Music Industry How To or want to know how to get started in the music industry in general, this is the place to get started. This page contains all the information up-and-coming musicians need to set a solid foundation for themselves. I suggest you read it from top to bottom, and put into practice what you learn. Ok, so let’s look at why you need to learn the business side of things. Isn’t having talent and making good music enough to do well? Well no, not really. While it used to be the case that you could be a talented musician and have the record labels take care of everything else, these days it doesn’t work like that. Because of the changing shape of the music industry, record labels want to know you are a proven artist before they even consider signing you. That means you will have to already have a fan base, will need to have some songs under your belt, and will have to prove you can generate an income from your music. As the record label won’t help you do any of these things, it falls down to you to make them happen. 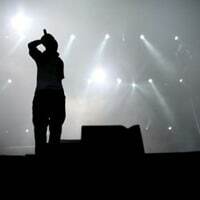 Doing well in the music industry requires much more than just recording a good few songs and putting them into shops. Creating a good quality product is only half of the battle, the other half is the promotion. If you make the mistake of putting all your time and money into recording your music and getting it into shops, you’ll soon find that you’ll make very few sales if any at all. Promoting your music is the process of raising awareness of your product, and making people want to buy it. If you don’t put an equal amount of time and effort into this side of things (If not more), you probably won’t get the kind of results you were hoping for. This is why you need to learn the business side of the music industry. 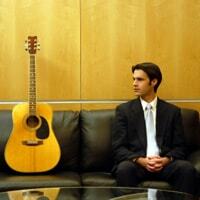 You can’t rely on record labels to promote or market your music, but it still needs to happen. And you need to volunteer to make it happen for yourself. Before we go any further, I wanted to touch on one thing. While this website will give you all the information you need to promote your music and handle the business side of things, none of it will matter if you don’t have a good base level of talent. While the information on this page will help you get your music out there, if the music you are making isn’t at a good level, you could actually do more harm than good. As they say, sh*t sticks. If you manage to get your music in-front of 1000 people but your music isn’t very good, you’re going to give these people a very bad first impression of yourself. They will now associate you with poor quality music, and if hear about you again, they are likely to avoid listening to you. It’s because of this that I recommend you largely perfect your art before you try to showcase your musical talent. Ensure that you have your style down, and you are happy with the music you’re producing. You should also get feedback about your talent before you start releasing songs and doing live shows. Make sure this is honest feedback, and not from someone that is afraid of hurting your feelings by telling you something needs to change. Only when your music is at a good level should you start trying to promote it and push it for people to hear. Alright, so now you’re ready to start promoting your music. The first thing I always advise people to do? Sent up their own .com website. As I’m sure you know, the internet is a great way to promote your music and get your brand in front of potential fans from all over the world. Despite that, there are a lot of of musicians all fighting for the chance to get seen. They position themselves on Facebook and Twitter, and fight with thousands and thousands of others in a crowded market. This level of competition makes it hard to get noticed by new potential fans. They can’t listen to everyone that appears in-front of them, so what many tend to do is only focus in on those that have something instantly appealing about them. This is how you can give yourself the advantage over other musicians. Unless you make yourself stand out from the crowd, you’ll just be another face in the sea of wana-be-big musicians. So how do you set yourself apart from the rest? 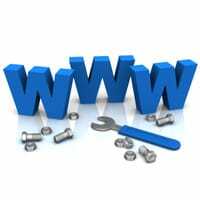 One of the main ways to do this is by setting up your own professional website. This is reasonably cheap to do (Probably a lot cheaper than you think), and will help people think of you as a different class of musician. After all, if you saw 10 artists with Facebook pages then one with their own attractive professional looking website, which one would you be more likely to look into? If you haven’t already got your own website, you set one up using this simple step by step guide. It’s easy to do, and you could have your own .com website up and running within the next 30 or so minutes. Give it a go. 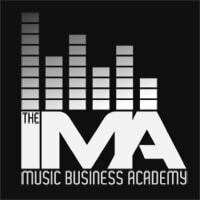 If you want to give yourself the best chance of success in the music industry, then you may want to consider joining the IMA Music Business Academy. This is a online music business course created by us, that will give you all the knowledge you need to shave years of trial and error off your music career. Instead of going through everything yourself and making mistakes as you go along, why not give yourself access to methods that are proven to work? In the Academy we teach you how to create your own products (Singles, albums, mixtapes etc), how to save money on studio costs without compromising on quality, how to get gigs, how to make money from gigs even if you’re not getting paid from the venue owner, how to get your songs on radio and TV, how to get free artwork made at a good quality, how to successfully market your music on the best social networking websites, how to get people visiting your website every day from search engines (Free promotion), how to get paid royalties from your song broadcasts, how to effectively build music industry contacts, how to capture people’s contact details and turn them into die hard fans, how to build a profitable mailing list, how to get your music into shops both offline and online, and much, MUCH more! While it’s a paid course, it’s much cheaper than all the other courses out there (About 90% cheaper than most, but still at a better quality). We intentionally priced it much lower than our competitors for one main reason: We want as many people joining the Academy as possible! Our main goal is to see you succeed as a musician, and start making money without the help of a record label. We can help you build your fan base, and put into practice methods that will have you seeing real results in terms of fans, opportunities and money. If you want to find out more about the IMA Music Business Academy or sign up, click here. So that’s it for now. 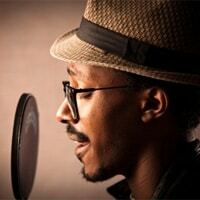 The information on this page will help you set up a good foundation to base your music career on. We aren’t going to leave you to do everything else yourself though, no. We’ve got plenty more useful information on this site that will help guide your music career in the right way. As you may have noticed however, all of the articles on this site are only half visible unless you become a free member. So if you haven’t done so already, sign up below for free to become a full member of the Music Industry How To family. This will give you full access to all the articles you can see on this website, as well as a weekly newsletter that will provide you with exclusive tips and tricks not seen anywhere else on this website. Please Note: After entering your details below, please click on the confirmation links in the two emails you will receive. If you do not see either of these emails in the next few minutes, please check your junk mail folder to see if they’re in there. You will receive four emails all together: Two with activation links, two welcoming you as a member. If you have problems logging in or don’t receive one of your confirmation links, please contact us with your sign up name and email address and we’ll get it sorted. That’s it for now, please bookmark this site and check back for regular updates. Oh yer, and if you found this guide useful, please share it on your favorite social networking websites (Facebook, Twitter etc) and anywhere else you think people would benefit from it (Link to it from your own website etc). Thanks a lot, we look forward to helping your move your music career forward.